As projects get a little behind schedule or perhaps a little contentious in terms of scope, I’d say it’s common for people to start taking steps to indemnify themselves against blame. I’d also say that this is fairly natural. There’s nothing more likely to attract wagging management fingers than a project behind schedule and/or over budget, so it makes sense to do a little rehearsing as to what one is going to tell them. Furthermore, it’s somewhat natural to try to showcase that one’s own efforts were a general positive even against a negative backdrop. This is reminiscent of the “plus/minus” tracking in sports such as basketball, where it’s possible for a team to outscore its opponent when player X is on the floor, but still lose. The most common reason for this is that player X is a star, but the rest of the team is so bad that even his or her stellar play cannot overcome the shortcomings of the rest of the team. Long story short is that every developer wants to be that player X on a winning team if possible. But, absent that, being player X on a losing team is fine, so long as management and peers notice. Obvious (to me, if not management) estimate sandbagging. Wheedling, begging, berating, manipulating and generally badgering defect reporters into retracting reported defects. Refusal to fix obvious and embarrassing problems with the software because said solutions weren’t “in the requirements statement”. Improving code quality is one way to reduce the number of defects reported against one’s code. Browbeating people into not reporting the defects is another way to do this and more expedient in the short term, in a sense. Refusing to address something on the grounds that “I never had a requirement for this” is a nice two-fer; it creates the impression that not addressing the shortcoming was a conscious decision rather than an oversight and it also identifies a different blame target (whoever is responsible for requirements). This frank categorization may induce a chuckle or two, but I doubt I’m breaking any drastically new ground for people who work in programming shops where this kind of thing probably occurs with frequency somewhere between “here and there” and “constant”. I do think there is value in coining some terms around it though so that we can examine the issues it causes, its own root cause, and some potential solutions. 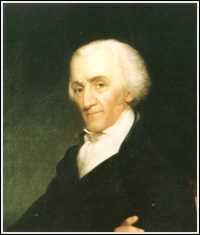 In the early 1800’s Massachusetts had a governor by the name of Elbridge Gerry. A Democratic-Republican by party affiliation, Gerry saw trouble in the tea leaves for his own party in the state senate and decided to do something about it. You might think that he decided to take his case to the people, touting the benefits of his party and convincing them to vote for Democratic-Republicans. You’d be wrong though. Convincing the public to like you is hard and time consuming and there’s no guarantee of success. Gerry had a more expedient idea. He simply signed a law that radically altered the voting districts in his state in such a way that a majority would result in the state senate without actually having the voters to support it. One of the newly created districts was so contorted and weirdly shaped that political opponents said it looked like salamander. Gerry’s Salamander became the term “Gerrymander” and the phrase stuck around. Today it retains its definition as a sleazy but legal practice in which politicians stack the deck in favor of their own party as they’re dealing out political cards to the voters. Getting back to the topic of software development, the behaviors I mentioned in the first section and their attendant explanations are all examples of a behavior similar in intentions to gerrymandering. In our world, the ideal for a software group is obviously to write good code, provide good estimates, and deliver quality software on time for a good value. As an individual the ideal is to have a good “plus/minus” within the group toward that same end — to write better than average code, delivered more quickly than average for less money than average. That’s all noble, but it’s also hard. And so some developers prefer to emulate Gerry and change the rules of the game (distort time, change definitions, employ technicalities) rather than playing it well. In the “plus/minus” world, this is like lobbying to play against the third string of the other team to pad one’s statistics. Estimate sandbagging is pointless because coming in ahead of a schedule that you’ve defined has no bearing on your bonus and performance review. Badgering defect reporters makes no sense because the goal is fewer defects in the user’s hands rather than fewer defects reported against the individual. Now, I don’t necessarily believe that there will be entirely smooth sailing in this or any other construct. But, eliminating the focus on individual incentives and performance has some nice side effects including the one on which we’re focused: removing the tendency to try to game the system without adding value. (Another nice side effect is that you tend to downplay the unfortunate “rockstar” designation that panders to megalomaniacal personality types who tend drastically to overestimate their own irreplaceability and scare others into the same). Still, the question of individual performance evaluation remains. It’s all well and good to reward or punish the whole team as a unit, but there are HR org charts, career maps and other individual concerns to think of. So how do you address this while still avoiding the gerrymandering? It’s all about the code and source control. There are a lot of metrics out there for evaluating developer productivity from the obtuse (counting lines of code generated or altered) to the anecdotal (does this guy seem to do a good job), but I’m not really aware of one that captures the truth as well as looking at someone’s changesets/commits in the context of a code base. So, what if you had some impartial and extremely knowledgeable party read through a code base, looking at its architecture and tendencies, and then read through the change sets to give each developer some kind of rating or at least partial rating. It seems almost as if you could create a cottage industry out of this and offer it as a consulting service. This way, the consultant is truly removed from any office politics and can focus entirely on the code. If one did this as a craft, I’d imagine that the addition of data points to the general corpus would cause the process to become quite refined over the course of time and probably generate some relatively objective, interesting and meaningful metrics. Of course, this wouldn’t be perfect. It’s only as good as the evaluator is sharp, and it has the shortcoming of not capturing “intangibles” on a project — maybe someone wrote little code but spent a lot of time helping other people with source control and other technical issues, for instance. Code and changesets are mute witnesses to the story of the project, but they don’t witness everything. Still, I think the notion is an interesting enough one that it bears exploring. 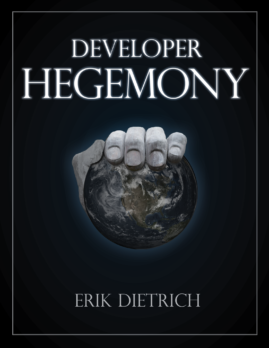 Developer (or any team member) posturing and gerrymandering are counter-productive activities that put the developer’s interests above the projects but, more problematically, misalign those two sets of interests. The combination of team effort and metric individual evaluation could help prevent that sort of thing. I like the idea of incorporating user feedback/rating in compensation or bonuses (or having it be a significant component). It brings a bit of what self-employed or business owners experience with understanding customer satisfaction and how that relates to continuing or growing the business. On the issue of rewarding individual performance one might consider more of a peer-to-peer bonus system as described here: http://www.forbes.com/sites/jurgenappelo/2015/07/08/the-peer-to-peer-bonus-system/. I haven’t tried it anywhere yet but find it to be interesting along with what you have proposed here. Interesting. And it makes sense to me. I wrote once about the only “360 review” that I’d buy is one with a simple question: “would you want to work with this person again?” The idea of swinging this toward positive reinforcement seems appealing.